To me, this is one of the few 1920s-era tiaras that works when worn either low across the forehead or atop the head, the way we generally see tiaras worn today. That’s the way the second wearer of the tiara, Princess Margaret, used the sparkler. Margaret received the tiara from her mother in 1959, just before she married Antony Armstrong-Jones. (Who, if you haven't heard already, died recently at the age of 86.) 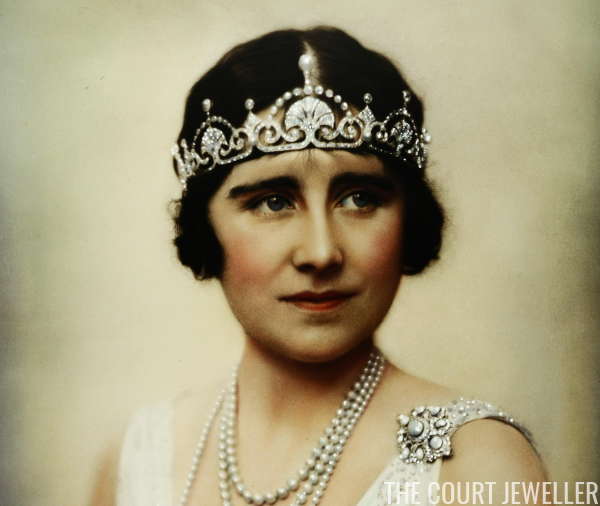 Along with the Poltimore, it became one of her most frequently worn tiaras. For years, jewel lovers speculated about the ownership of the tiara after Margaret's death. 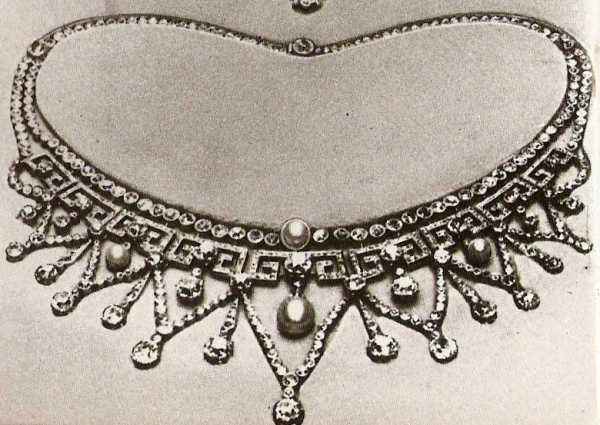 Because Serena Linley wore it at her wedding, many assumed that the Linleys perhaps inherited the tiara from Margaret. 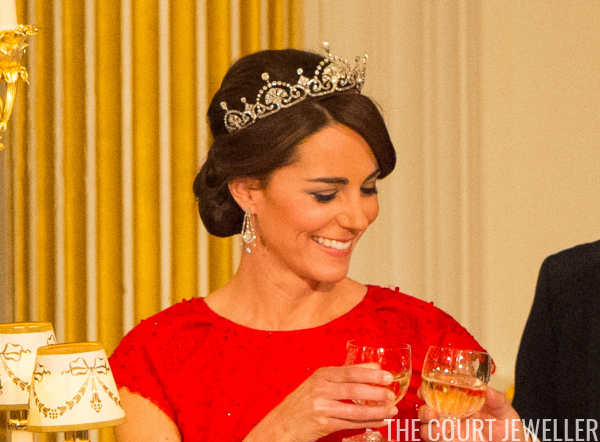 But in December 2013, the Duchess of Cambridge surprised everyone by wearing the tiara at the annual diplomatic reception; she also wore it in 2015 for a state banquet in honor of the President of China. It turns out, apparently, that Margaret returned the tiara to the royal vaults, either before her death or in her will. And so the Lotus Flower lives on, being enjoyed by an entirely new generation of Windsor women.